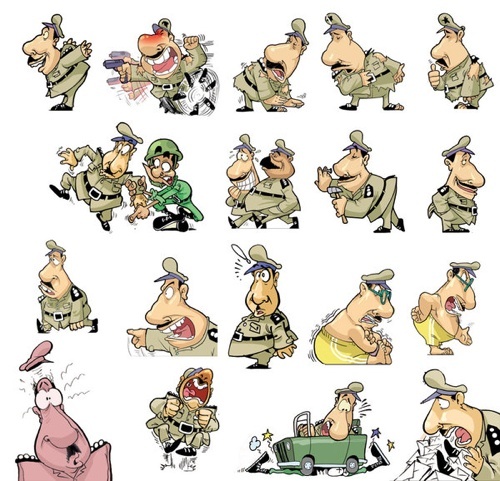 Thanks to E.H. for alerting me to this post on Egyptian cartoonists whose work is online. There's some wonderful talent there, a Facebook group with a lot of links. I'm pasting all those links after the jump for those who don't want to join Facebook, that monumental waste of time. Below: "Colonel Barod" by Khaled Abazeez.